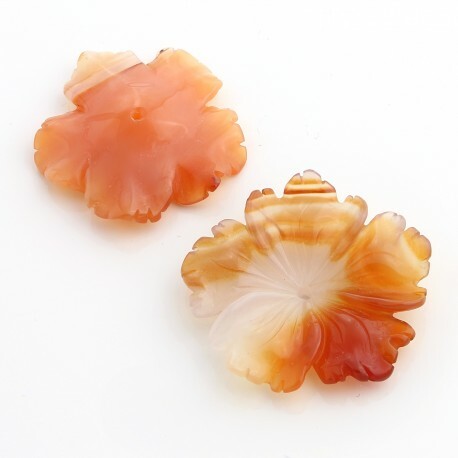 Carnelian flower of pink type. 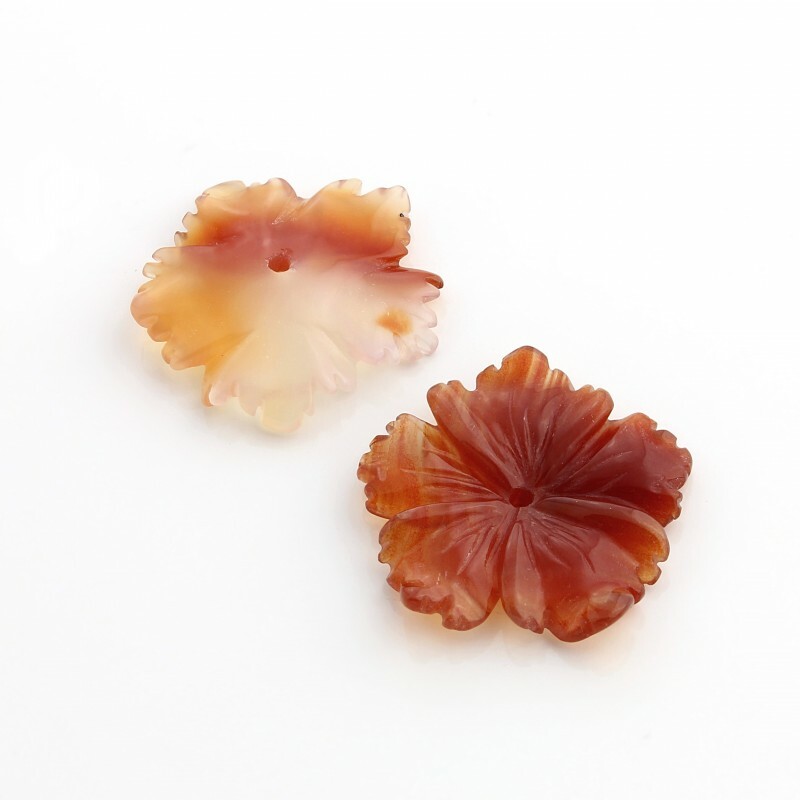 This beautiful stone with pink flower shape is carved in carnelian, so it presents orange tones and a wonderful gloss. 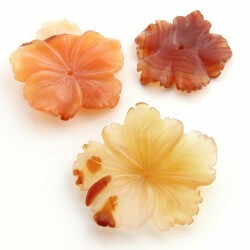 - The small one measures 2.5 cm x 0.4 cm and weighs 2.9 grams. 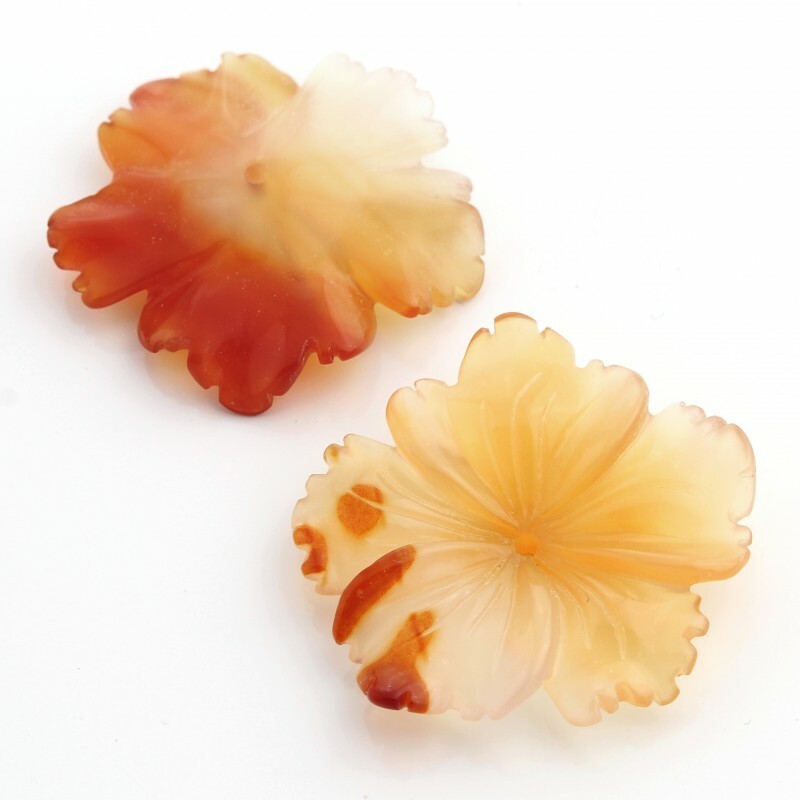 - The medium one measures 3.2 cm x 0.6 cm and weighs 5 grams. - The largest one measures 3.5 cm x 0.6 cm and weighs 7 grams.